Balancing real life with the responsibility of being Heaven's warrior is a challenge for Ellie. Her relationship with Will has become all business, though they both long for each other. And now that the secret of who she really is has come out, so have Hell's strongest reapers. Grown bold and more vicious, the demonic threaten her in the light of day and stalk her in the night. RT. I love love love Will. Why does Ellie have to give him such a hard time? CAM. I think one of the reasons why Ellie and Will are so much fun is that they both have a great sense of humor and they’re so comfortable with each other that they can tease each other. Their banter really tends to write itself. Ellie, who has become a very human girl since being an archangel, particularly loves to poke fun at the way Will’s awkwardness around people sticks out. While a lot of her jokes go right over his head, he’s got the easy sense of humor to take it well. RT. Ellie has had a few close calls in Wings of the Wicked. When will she ever start listening to Will's advice? CAM. I think if Ellie took Will’s advice to hang back, stay safe, and let him handle things, then she would never come into her own and grow to be a strong person. She’s stubborn and determined, and while she makes some bad decisions when she doesn't listen to Will, she can do some extraordinarily brave things when she ignores his advice. It’s best to trust your judgment over others’ advice sometimes, but we’re only human and we make mistakes. It’s all a part of growing up. RT. What is your favorite Will quote of the book? RT. Which demon would Ellie say is the nastiest of them all? Hardest to bring down? CAM. I think the most dangerous of the reapers are the human-like vir, because they have the ability to look just like we do and seem harmless until it’s too late. They are more powerful than even the largest of reapers types, the nycterids, who are gigantic and dragon-like. Something about the vir shape-shifting to look like normal people when they are anything but is so terrifying. RT. Ellie has gone through so much turmoil and heartache, how does she cope with being a demon hunter and trying to graduate high school at the same time? CAM. I think that this question is the reason why I love writing Ellie. I don’t think that anyone can easily transform from a completely normal person into this killing machine with the weight of the world on her shoulders, and still try to maintain a normal life and graduate high school. 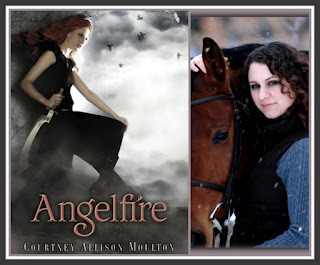 Ellie only gets a glimpse of her new life in Angelfire. In Wings of the Wicked, the darker sides of her duty, her past, and her relationship with Will hit home – literally. RT. I enjoyed Cadan very much in Wings of the Wicked (what a yummy addition). Will Cadan continue to make an appearance in the future? CAM. Yes. Cadan’s part in the story will only get larger and more important in the future. He plays a key role the events following Wings of the Wicked. RT. 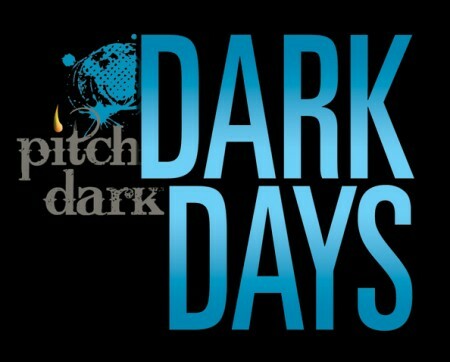 Are you excited about the Dark Days Tour and what are you looking most forward to? CAM. Besides the amazing Tex-Mex every day? I’m so excited to meet readers! Last year I had a blast meeting readers of every age, hearing their stories, and listening to how my books have affected them. RT. Would you please share with us a non-spoiler teaser of Wings of the Wicked with our followers? CAM. You will learn about Will’s family! Thank You so much Courtney for answering our questions. I loved Wings of the Wicked!